Yes, I know, this last photo was on my facebookpage yesterday. But I'm so totally in love with this little girl. 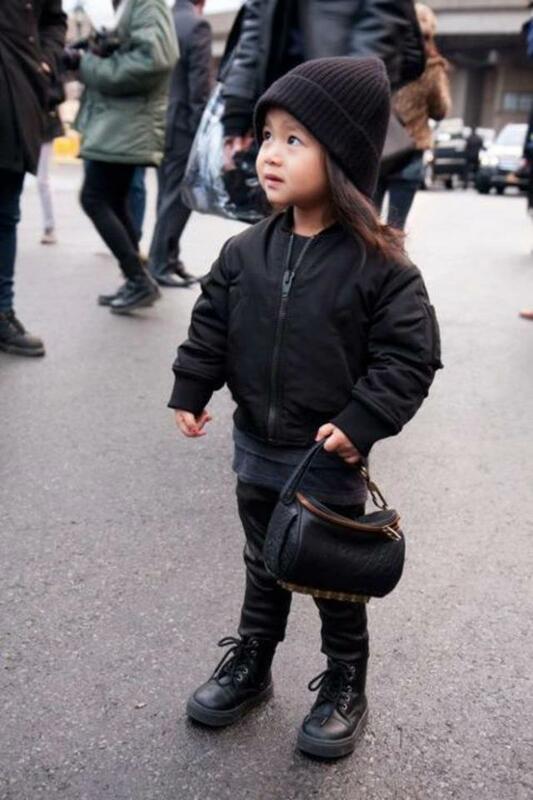 This little girl is Allia, the niece of Alexander Wang. With such a fashion orientated uncle, she was born fashionable. I love the totally black and tough looks she's wearing, so this isn't just inspiration for the mummy's of the world, but for everyone! aah wat ontzettend lief ! ik volg je nu via GFC & bloglovin, volg je me terug? Die blazer dinges is van de h&m, ik heb die kruisjes er zelf aan genaaid en de achterkant in een punt geknipt!